I am honored to be part of the Stiletto Magazine Blog Tour to mark the launch of this new women's publication. 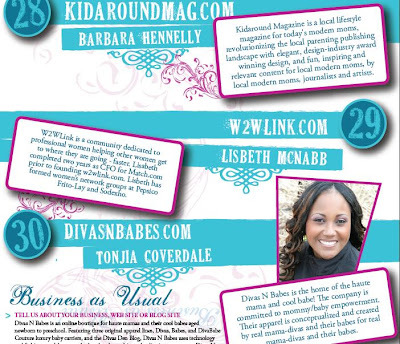 I invite you to read on to learn a little bit about this dynamic women's magazine. Q: What topics are covered in the magazine? A: The focal point of Stiletto Woman Magazine and our editorial vision is to empower today’s modern woman. Our intent is to tell real stories, provide real inspiration, and impact real life! Therefore, each edition we publish has a defined purpose with targeted content. We aim to publish work that has substance—that is relatable to most. Next year, Stiletto Woman Magazine will be published tri-annually, where two issues will be dedicated to real life circumstances of everyday women. Q: Do you accept articles, essays or illustrations for the magazine? A: Yes. We are accepting articles and essays for the magazine. Our approach is to reveal women’s lives in authentic ways, so we definitely want your story! We are open to reviewing ideas about columns, and off-topic articles that are timely. Q: Do you have any free services available for your supporters? A: Yes. We have a range of free services available. Some are available online, while others are accessible locally. We encourage all women to take advantage of every opportunity available. For fun, we also give away giftcards, as a token of appreciation to our readers and supporters. With these giveaways, there’s not much required. You can easily get a free meal at Red Lobster, grab a free movie from Blockbuster, or get a Target shopping card, etc by simply communicating with us. Q: How did you choose the Top 50 women? 1) Idea Innovation. We looked at originality, how imaginative they were, how creative they were in executing their ideas, and communicating the brand. 2) Professional Leadership. We assessed their background, their ability to lead, the ethics they upheld, and sense of character. 3) Supportive Community. We wanted to see their desire to help others. We looked at their social impact, and sense of community. 4) Site Design. Being that we’re looking at women who have a presence online, the web site or blog site had to exhibit professionalism. It needed to be effective in delivery, with good layout and design. Our panel of eight professional women then used a scoring system to select the top 50! It was important for the magazine to exhibit diversity—not solely in the range of women featured, but also in the types of businesses, web sites, and blog sites showcased. You won’t find many large corporations or illustrious personalities mentioned. We deliberately profiled authentic women you might not hear about every day. Q: What do you have planned for next year? A: Next year, as mentioned above, Stiletto Woman Magazine will be published tri-annually, with two issues dedicated to a single topic—one that addressing issues particularly related to women. We will be looking to extend Stiletto Women Connect throughout various communities. And finally, we have another project that we’re currently refining. We can’t give it away just yet, but it’s fresh, and original. It involves helping prepubescent girls gain the empowerment they need to make good decisions as teens and young women. To keep up to date with our happenings, stay tuned to stilettowoman.com, and don’t forget to sign up for our newsletter to get the inside track!